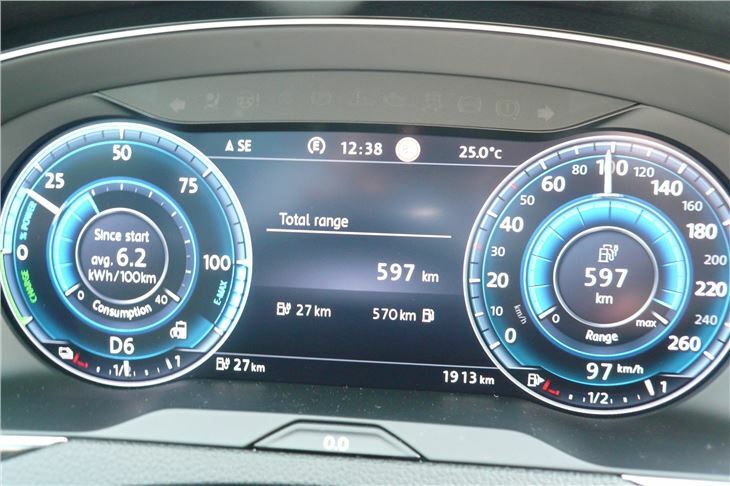 So, to meet that average figure while still producing conventional cars, they need to sell as many EVs and plug-in hybrids with exceptionally low CO2 as they can. 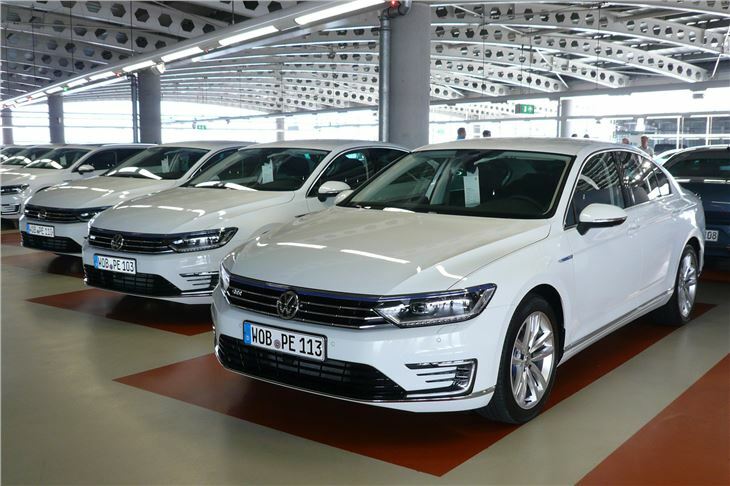 The Golf E, the Golf GTE and, at an NEDC average of just 39g/km CO2, the Passtat GTE are those cars. 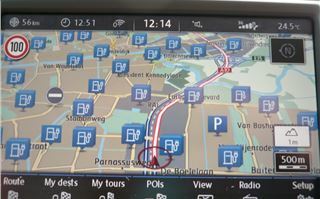 Of course, they benefit buyers and company car drivers too, with exceptionally low running costs. And favourable taxation. 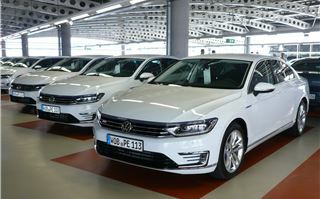 We’ve been there before, with the Chevrolet Volt, the Vauxhall Ampera, the Toyota Prius Plug-in, the Mitsubishi PHEV, the Volvo V60 Plug-in. 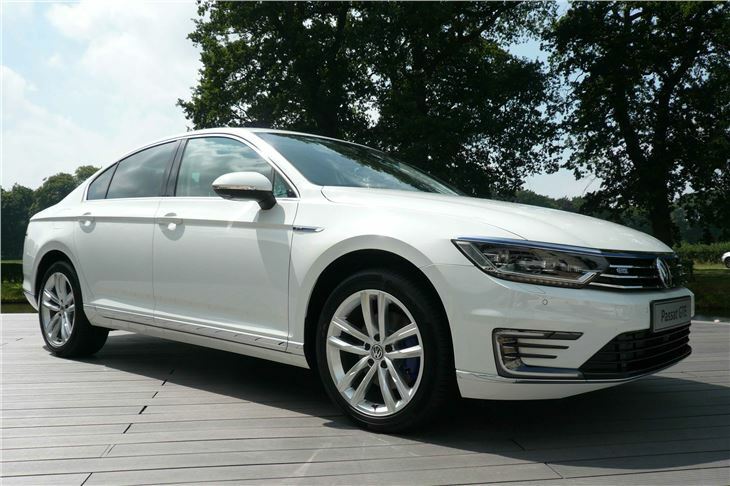 But Volkswagen seems to have moved the game on with its Passat GTE. 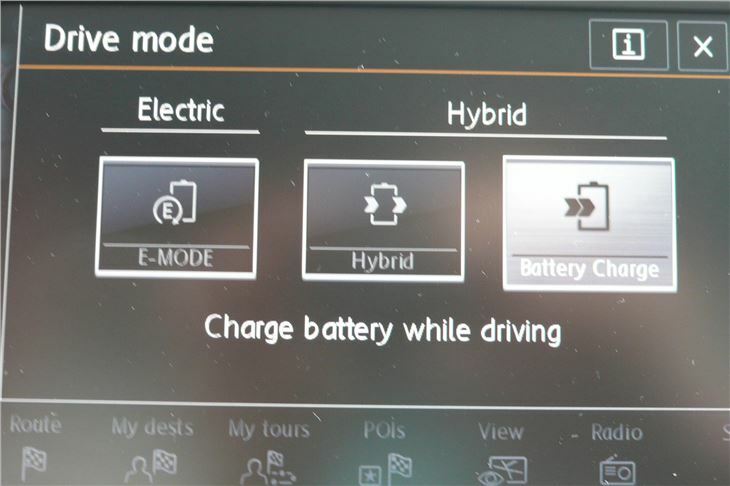 The cars starts off in E mode and will run on its electric motor alone for up to 50 kilometres, or 32 miles, which is something we’ve seen before. 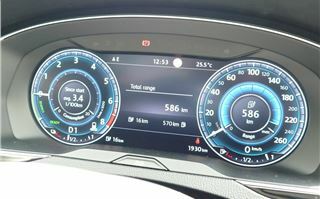 What we haven’t seen is a car that can do that and also manage an average 4.5 litres per 100 kilometres (60mpg) over a total range of 1,100 miles. 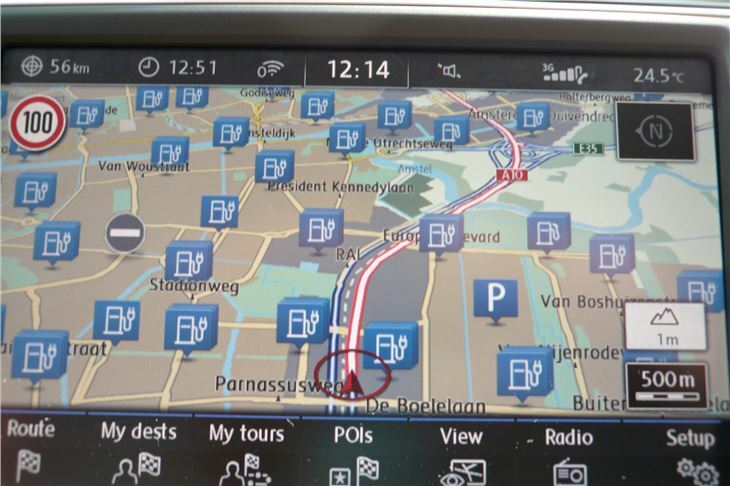 Enough to drive from Amsterdam to Paris and back. 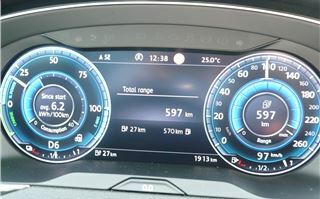 Since we actually had the near incredible experience of driving for 45 kilometres and in doing so increased the car’s range by 13 kilometres from 602 kilometres to 615 kilometres at an average of 4.9 litres per 100 kilometres (57mpg), this isn’t far-fetched. 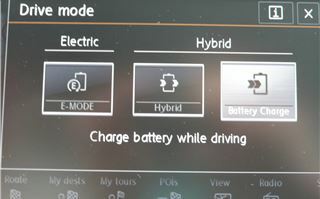 Driving in GTE mode, and leaving the lever in D, we watched in awe as, at a constant accelerator position, the revs could sit at zero, then rise to 2,000 to briefly regenerate the battery with the result that the further we went the greater the range it gained and, because we were driving at more economical speeds than the car had been driven before, our range on petrol also increased. 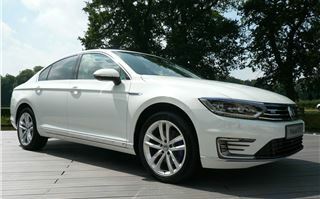 And, in comparison to every other plug-in hybrid I have driven, that’s why the Passat GTE really works. You can see the details in the other sections: EA211 1.4TSI ACT engine developing 156PS rather then the usual 150PS. A very useful 250Nm torque from 1,600 to 2,500rpm. An electric motor that weighs just 34kg, yet develops 115PS and torque of between 170Nm and 330Nm. 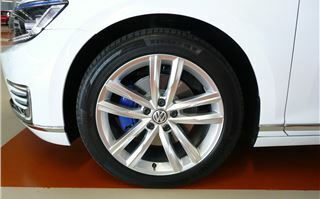 And a 6-speed wet clutch DSG transmission that decouples the TSI motor whenever possible to make the best use of kinetic energy to recharge the battery. 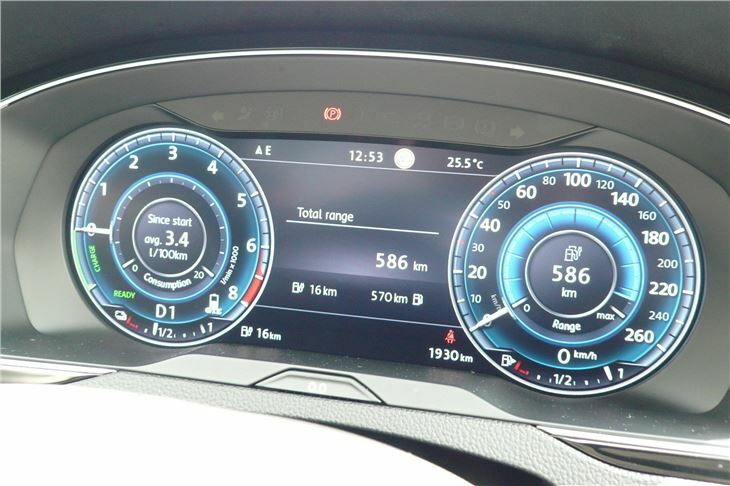 The resultant performance is 0-60 in 7.1 seconds and a top speed of 140mph (or 81mph solely on the electric motor in EV mode). 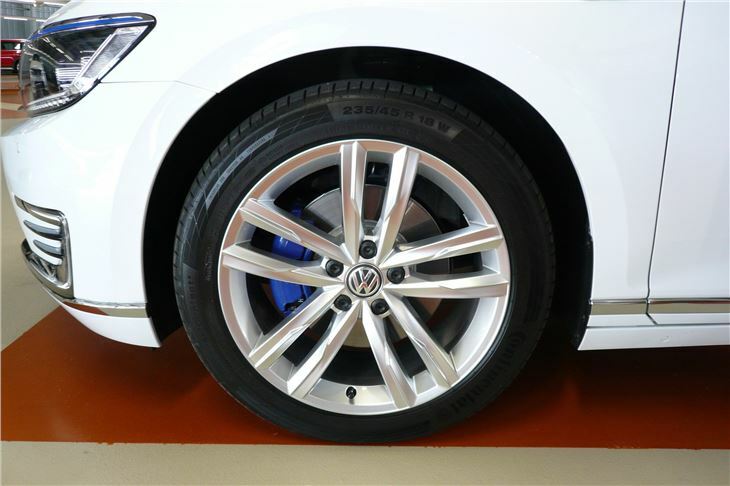 But you probably won’t use this, preferring instead to use the always-ample torque to cruise along swiftly, silently and comfortably on the Passat’s 235/45 R18 tyres. 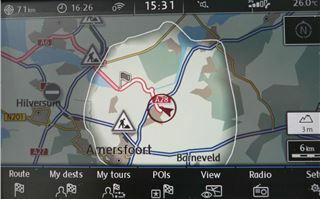 What further sets it apart from other plug-ins is its decent, nicely weighted steering and relatively sporty handling. 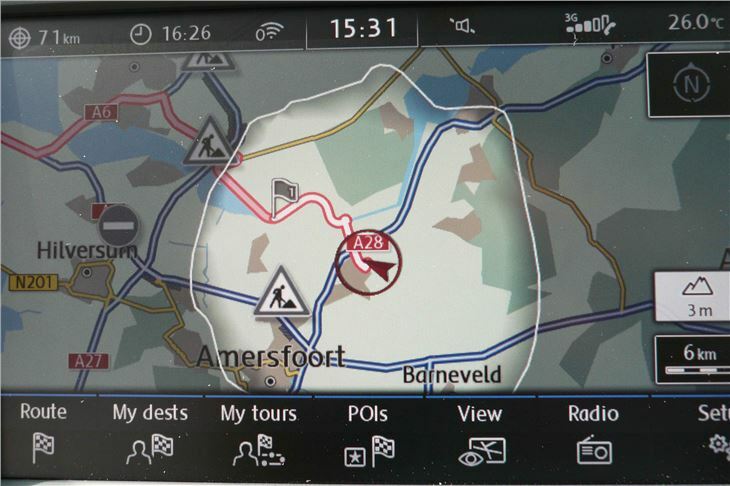 And a very useful ‘auto hold’ button, like Mercedes, that holds the car in place when you come to a stop at the lights and then releases imperceptibly when you want to get going again. 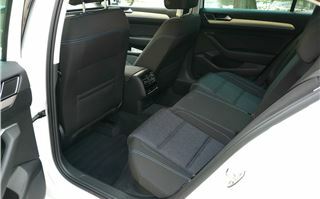 Other qualities of the Passat include decent rear legroom and a commodious 586-litre boot. 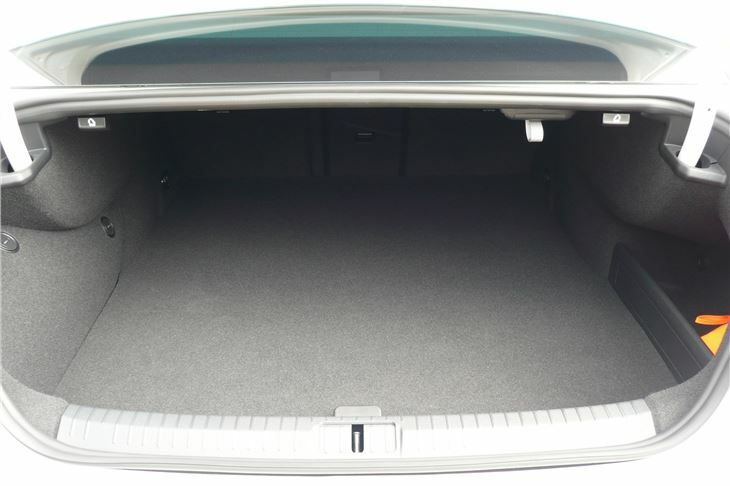 (It will make a brilliant private hire car; Addison Lee take note.) 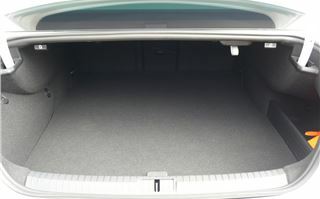 The estate offers 650 litres seats up or 1,780 litres loaded to the roof, back seats down. Unusually among hybrids, it can even pull a caravan up to 1,600kg up a 12% slope. 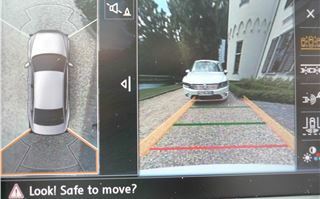 We were also shown an astonishing system called ‘V-Charge’ that will be available in the future and uses autonomous driving to allow the car to ‘find’ an inductive charging supply in a car park and automatically place itself over it. 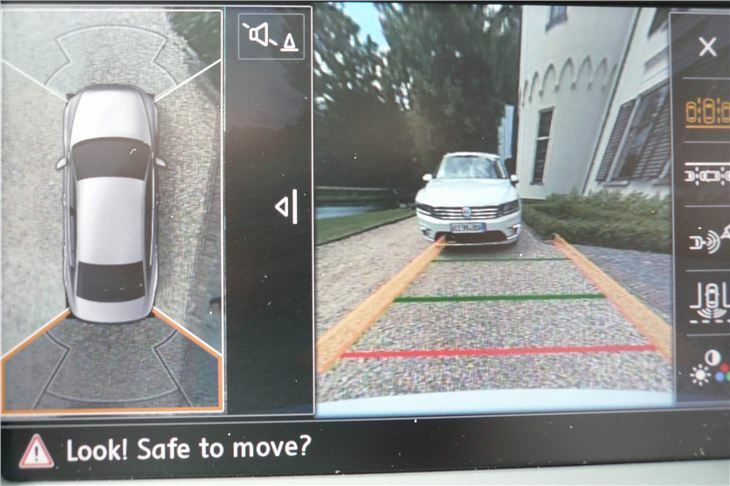 And a robotised ‘E-Smart’ connect that would automatically come to a parked car, connect it to a conventional recharging supply and disconnect it again when charging was complete. However, for the UK at least these are in a more distant future than the car.